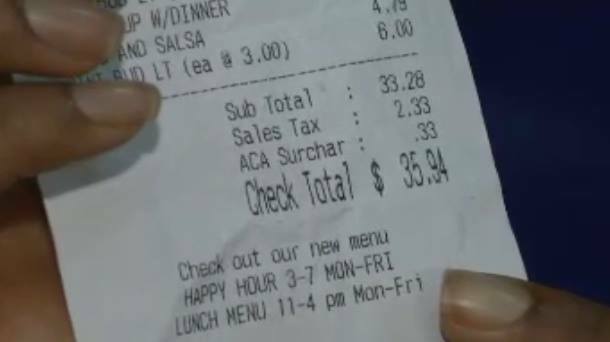 The next time you eat at some Gator’s Dockside restaurants (Florida), you’ll notice a new charge on your bill: “ACA Surcharge.” It’s a 1% fee to pay for health care for its workers under the new Affordable Care Act. So, instead of protesting and/or dropping his workers to part-time status, the owner accepts this crap and forces his customers to pay for it. Great way to lose business….